In Birch 3JC we try our best to look out for and support each other both in and out of class. We hope that you find our web page useful and enjoy reading about all the wonderful things we are learning. Indoor PE kit - black shorts, white t-shirt, pumps. Outdoor PE kit - jogging bottoms, white t-shirt, jumper, trainers. Homework is sent home each Friday, and due back in by the following Wednesday. Reading should be done at home at least 3 times each week and recorded in reading logs. Spellings should be practiced as often as possible! The easiest way to ensure we can all take part in P.E is to make sure that kit is brought in on a Monday and taken home every Friday. 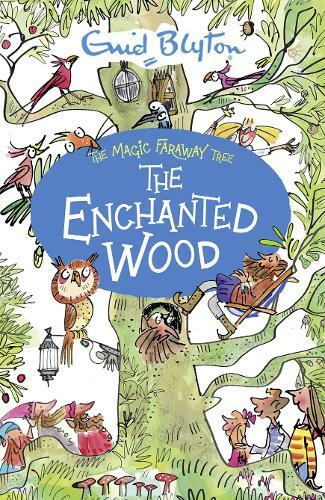 Our Class Novel at the minute is "The Enchanted Wood" by Enid Blyton! Our Topic for this term is The Stone Age! This term we will be learning all about the Palaeolithic, Mesolithic and Neolithic periods and understanding how early humans survived. Maths - This week's focus will be arithmetic. English - We will be finishing off our Billy's Bucket topic this week. Children will complete their unaided writing before having a chance to edit and improve.